Pre-enrollment applications are available at the time a parent or guardian of a prospective student tours SBCS. A parent or guardian may also obtain an application from the office in person, by fax, by email, online through the SBCS website, or by mail from the SBCS office. The initial lottery will be held at the Circle of Trustees meeting during February. A lottery will be drawn for each grade. A list will be created reflecting the students’ names in the order they are selected in the lottery. Space will be offered to the first students on the list, according to anticipated space availability. Students for whom there is no anticipated available space will remain on a waiting list in the order they were selected in the lottery. They will fill additional spaces as spaces become available, subject to lottery position. 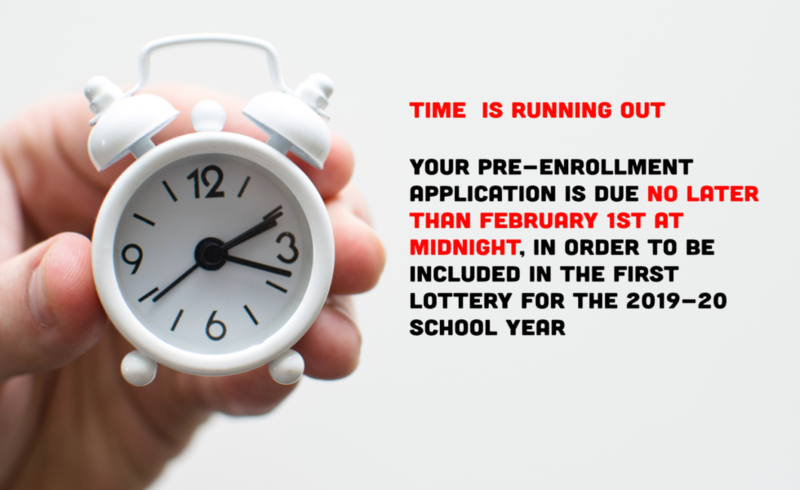 Students for whom pre-enrollment applications are completed after the initial lottery will be held in a secondary pool. In the event the initial waiting list is exhausted and additional spaces become available, a second lottery will be held. In order to facilitate the mid-year enrollment of students in a timely and efficient manner, this one other member of the administrative staff and a member of the Circle of Trustees. These students will be put on a list in the order they are selected by lottery, and will be notified as space becomes available. Students transferring between the HomeBased and Classroom-based programs. Students who reside within the Santa Barbara Elementary District. Children of staff members who work on a host campus (should SBCS be located on another school site). In the event that there are too many students in category 2. or 3. above, the matter will be taken to the Circle of Trustees, who may recommend a lottery be held for this group. This online form eliminates the need to download, fill, print and hand-over the forms available elsewhere. When you press “Submit your application” below, a school officer will immediately receive the data you enter, and you will be contacted inside 48 hours. You can contact the school at any time thereafter (please wait 48 hours before doing so) and refer to this form. If you enter an email address in the form, the form and the data you entered will be sent by email to that address. IMPORTANT: Upon a successful submission, you will see a message telling you of it. If the form fails to submit, the page will scroll to the field(s) causing the problem: please review your entries; the most common case is for information to be missing. Errors and omissions will be highlighted in red text. Does the student live with parents? Please give us more details about your child's special needs. No student will be denied admission to SBCS based on a disability as long as it meets the requirement of FAPE (Free and Appropriate Public Education). SBCS strives to reflect the wealth of diversity of our community. We welcome families of all racial, religious, ethnic and socio-economic groups and varied family structures. We also recognize that diversity is present in many ways not listed here. Do you feel your family would enrich the diversity of our programs? What are you expecting to find in this educational choice for your child? Please comment on your child's (and yours) previous school experience. Have you ever participated in a cooperative of any kind? The Santa Barbara Charter School’s success is dependent on parental involvement. Parents are encouraged to work on behalf of the school. This expectation can be fulfilled in a number of ways, and up to one hour per week credit is granted for any outside educational activity you participate in with your child, including homework. Parents are also expected to attend a minimum of two work parties each year, including one in the summer and one during the school year. While it is not a requirement, it is an important value at this school, and is an expectation for all families. Please sign below if you understand this expectation. I am aware of the Parent Participation expectations. I understand that if any part of this application is fraudulent, misleading, or dishonest, my child may be disenrolled. ← Rotary Club recognizes a SBCS teacher!